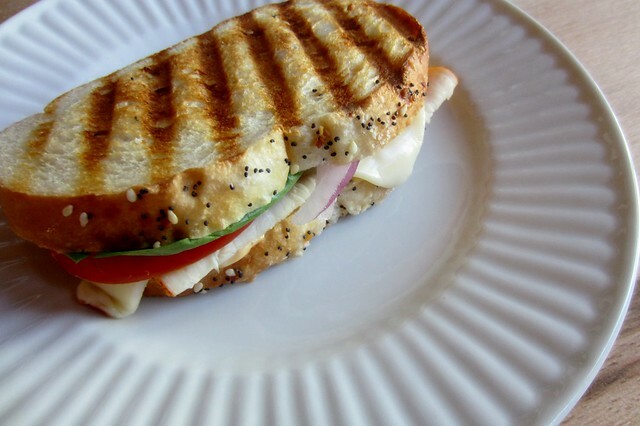 I really enjoyed how simple it was to entertain using the panini maker. For the book exchange party Jasmine and I hosted for our sister Jennifer, we provided soup and a grilled cheese bar for the guests. Once they had chosen their bread and cheeses for dinner, they could grill their sandwiches using the panini maker. It was fun, simple, and tasty. See more of the party here. This is my take on Panera's Frontega Chicken Panini. (Fun fact: did you know that panini is the plural form of panino? I didn't). Tasty, tasty, tasty! 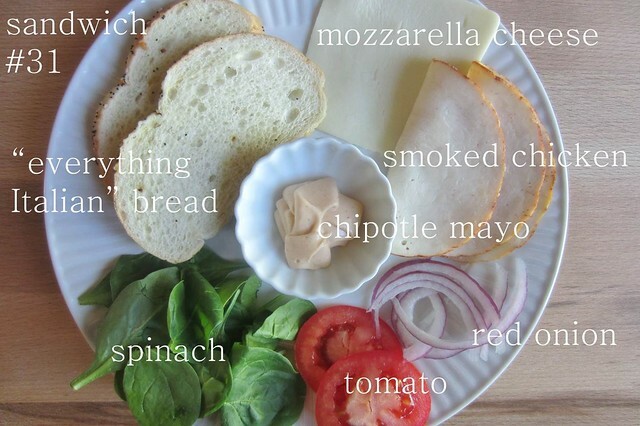 You have to try this sandwich! I love the smoky flavor in this sandwich.